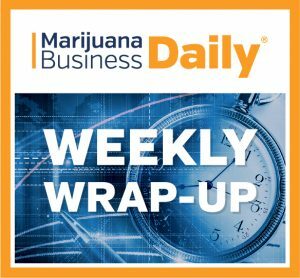 MedMen strikes up a cannabis partnership with Canada’s Cronos Group, California’s Humboldt County considers reopening its licensing process, and a judge tells Arkansas to stop issuing medical marijuana licenses. Multistate cannabis giant MedMen’s collaboration with a federally licensed Canadian cultivator could make the California-based company a multinational marijuana titan. MedMen intends to use its alliance with The Cronos Group to open stores in Canada, where recreational marijuana sales are slated to begin in July. But MedMen could go even bigger if it follows Cronos’ lead. The Ontario-based producer already has a presence in several foreign medical marijuana markets and plans to be in more. A handful of American marijuana businesses have collaborated with Canadian companies, putting them on a path to enter the global market. And given the attractiveness of Canada’s soon-to-be recreational marijuana market, more American cannabis companies will want to do the same. “A lot of those Canadian companies have limited expertise in retail and branding, and they’re looking for American companies who are good at that,” Paxhia said. In other words, a U.S. company that can prove it’s built a strong cannabis brand has something to offer a Canadian partner. American intellectual property is also a draw up north. Despite having one of the oldest medical marijuana programs in the world, Canada has offered patients a limited selection of products. The country’s new adult-use program will permit the sale of many of the products that U.S. cannabis consumers have been enjoying, but it’ll take American expertise to help develop them. An American company’s capital also is of interest to a potential Canadian partner. Though Canadian companies typically are well capitalized, they can fortify their positions by bringing U.S. financial power into a cannabis market flush with capital. One of the perennial big names in California cannabis may be reopening for business, so to speak. The Humboldt County Board of Supervisors is expected to start accepting new business license applications in the coming months, ostensibly with the aim of convincing thousands of black-market growers to take part in the regulated industry. But whether that’ll work has yet to be seen, according to Terra Carver, the executive director of the Humboldt County Growers Alliance. It’s possible that thousands more companies may try to get local permits, which could then lead to state permits and a place in California’s legal marijuana trade. But of the estimated 15,000 growers in Humboldt, Carver said, only about 2,300 business permit applications were submitted during the county’s first round of licensing, which closed in December 2016. So it’s tough to judge whether the county will be able to persuade Humboldt’s cultivators that taking part in California’s new regulated market is worth the cost of complying with regulations. More impactful might be the cease-and-desist letters the county has been sending out since last year, Carver said. “If you’re an unregulated cannabis farm and you receive one of these letters, you’re looking at fines of up to $10,000 a day,” she explained. The new licensing process, Carver said, will contribute to a larger evolution of Humboldt’s cannabis industry. After a judge struck down the issuance of Arkansas’ first licenses to grow medical marijuana, it stands to reason the state attorney general would consider appealing the order. But Arkansas cannabis attorney David Couch has been encouraging the state’s Medical Marijuana Commission and the AG to forgo an appeal and instead have the applications reviewed by an independent consultant. That outcome seems less palatable to Couch than a potential 90-day delay while outside consultants review the cultivation applications. Before the judge’s ruling – spurred by an unsuccessful cultivation applicant’s lawsuit against the state – the commission had begun grading 290 dispensary applications, according to Couch. The attorney said he’d like to see a third party review the dispensary applications to potentially avoid a situation like the court case. “My concern is that if they use the same process to grade the dispensary applications, we’re going to have the same or a similar lawsuit filed,” Couch said. sour grapes by the losers who did not obtain grow license. They care nothing about the medicine qualified people need. I agree honest Abe! They need to make this their main concern and get this done. We have patients that really need this for chronic pain among several other illnesses. We the people of Arkansas are ready for a change. Something more natural and not man made. Don’t take away our hope.